You don’t need to be a computer scientist to understand the fundamentals of database technology although there are a few concepts that you might encounter such as how data is organized within relational databases and maybe some basic programming with Structured Query Language (SQL), the language used to retrieve and manipulate information within databases. Some of it might seem a little intimidating at first but once you understand it, you’ll find that it often comes down to breaking large amounts of data into smaller pieces and putting it all in the right place so that it can be easily managed. 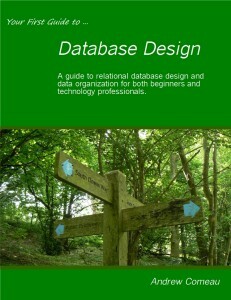 The most popular type of database right now is the relational database. The relational database is a good, all-purpose model that can be used to store many different types of data in tables that are linked to each other on common fields. Like a spreadsheet, the tables are made up of columns for the fields and rows for each item to be stored. For example, a recipe database might have a main recipe table which stores the basic details for each recipe such as title, number of servings and calorie count while another related table would store the ingredients for the recipes and the two tables would be linked by an ID number for each recipe. Another table might list categories or tags for each recipe and would also use the ID number to link each row to a specific recipe. In this way any amount of information can be stored for a specific recipe and all of it can be retrieved by searching the right fields and using the links between the tables to specify which recipe is being referred to. This organization of data into related tables is called database normalization and this is one of the important concepts that you will need to study if you want to truly understand how databases work. There are a variety of software titles available that the average person can use to become familiar with database concepts. For many years, the most popular has been Microsoft Access, a database management software that is sold both on its own and as part of the Microsoft Office suite. A free alternative is OpenOffice Base. Both of these titles can be installed on a home computer and used to create small to medium sized databases for a variety of uses. They also enable the creation of data entry forms and printed reports so that the data can be easily entered and summarized. The next level of database software is designed to manage larger multi-user databases across networks or even the Internet. If you want to pursue a career in I.T., especially as a database administrator or reporting specialist, it’s important to gain some expertise with one or more of these software titles. Fortunately, free versions of the most popular software including Oracle’s MySQL and Microsoft SQL Server Express are available for download and can be installed on the average home computer for study and experimentation. In addition to the free software, there is a huge amount of information available online for anyone who wants to learn how to work with database management systems. Very often, the answers are just a Google search away and while some of the technical terms might seem daunting, developing the kind of skills that can advance your career or help you solve problems a little faster requires little more than an investment of your time and some dedication. 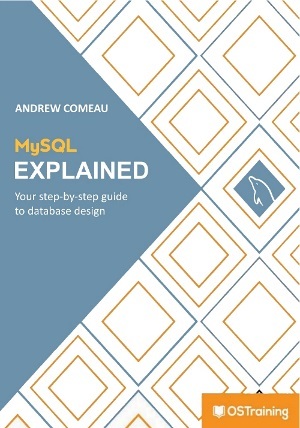 For a complete introduction to database technology, you can also check out my book, Your First Guide to Database Design. This and other Kindle textbooks are available on Amazon.com.